Fl. Pl. Africa 33: 1314 (1959). Origin and Habitat: Southeastern Namibia, Bushmanland through Namaqualand to Clanwilliam, Hantam Plateau, Roggeveld, Tanqua Karoo and Little Karoo to Uniondale. Description: Albuca aperta (Ornithogalum apertum) is a charming little bulb that is is easy to cultivate. It is a winter grower and flowers in spring with green striped yellow flowers coming from the side of the flower stalk. It is distinguished by corkscrew-coiled leaves. The leaves usually curl better if given good light. 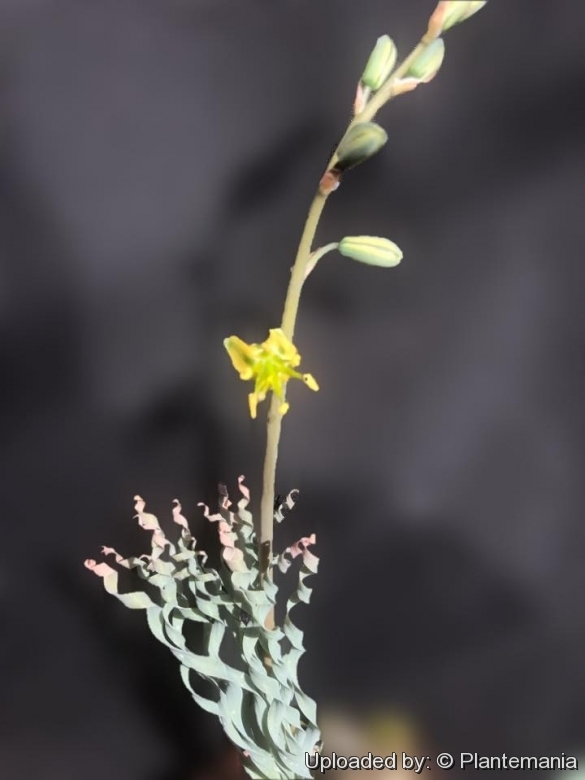 Albuca aperta is generally included within (as a synonym of) Albuca concordiana, suggesting that there is not really a fundamental difference between the two. 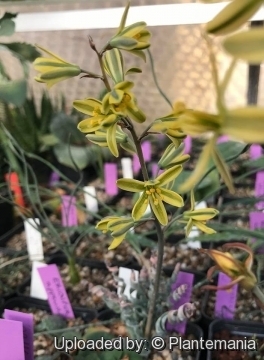 For more details see: Albuca concordiana. 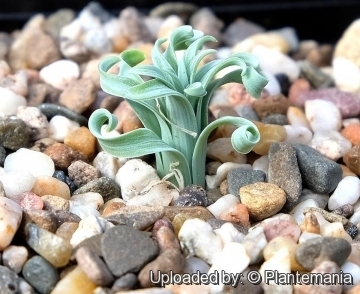 Cultivation and Propagation: See Albuca concordiana.